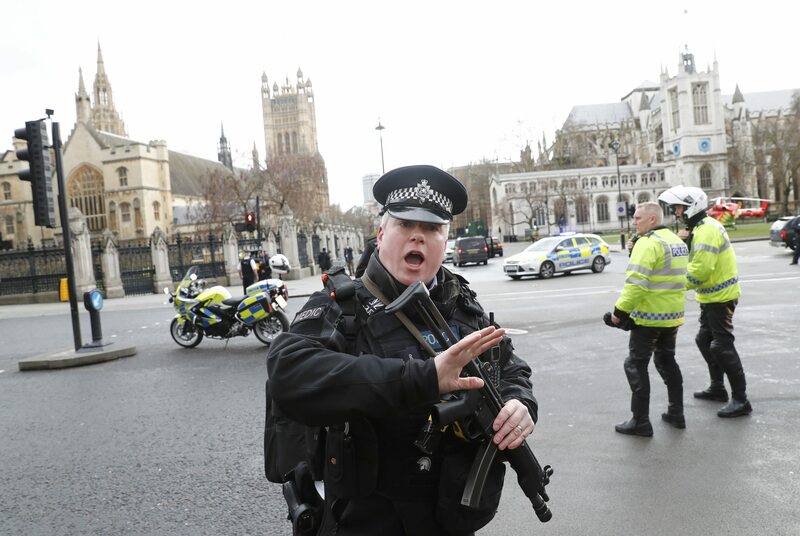 [Updated on Wednesday at 20.00] The UK parliament and ministries in the surrounding area, were put under lock-down on Wednesday afternoon (22 March) after a car and knife attack that police said was likely a "terrorist incident". The police said they were called "at approximately 14:40 hours [15:40 in Brussels] to reports of an incident in Westminster Bridge". According to media and police reports, a car deliberately ran over people on Westminster bridge, which leads to the Houses of Parliament. The car then crashed into a railing outside the parliament building. A man came out of the car and stabbed one of the armed police officers guarding the parliament. The officer was killed. His attacker was shot dead by police. 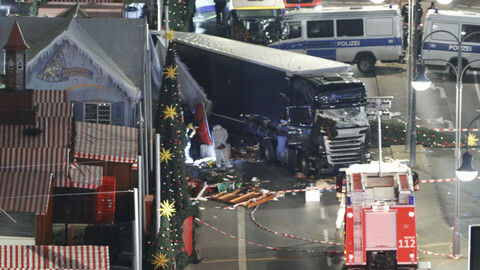 Two other people were killed and at least 20 people injured, the police said, without specifying whether all had been victims of the car. St Thomas' hospital said that some people who were being treated there had "catastrophic injuries". Three police officers were injured. A Conservative MP and former soldier, Tobias Ellwood, performed cardiopulmonary resuscitation on one of the officers, with his hands becoming covered in blood. A women was rescued alive from the Thames, probably after jumping into the river to escape the car attack. Mark Rowley, the national head of counter-terrorism policing, told reporters that they "currently believe[d] that there was only one attacker" but that the area was searched "as thoroughly and extensively as possible". "This is a day that we had planned for, that we all hoped would never happen," he said. He said that Londoners would see more police in the coming hours and days, but that there was "no reason to be alarmed". The whole area around Westminster, including the government quarter, was closed off as an anti-terror unit was in operation. The House of Parliament, where Lords and MPs were present, was shut down in what the police officer said were "long established and well rehearsed plans". Prime minister Theresa May, who was there to participate in Prime Minister's Question Time was quickly taken away by her security detail. May was due to chair a meeting of the Cobra committee, the emergency meeting of cabinet and security services. The Scottish parliament in Edinburgh suspended a debate on independence and first minister Nicola Sturgeon said in a statement that her thoughts were "with everyone caught up in the dreadful incident at Westminster". 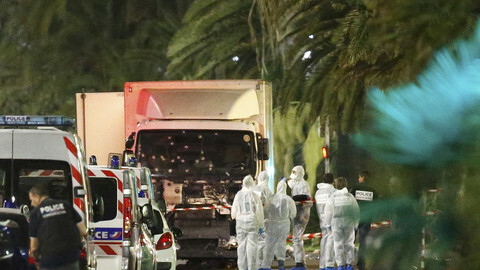 Three French teenagers are among the injured people. They were on a school trip from Brittany. 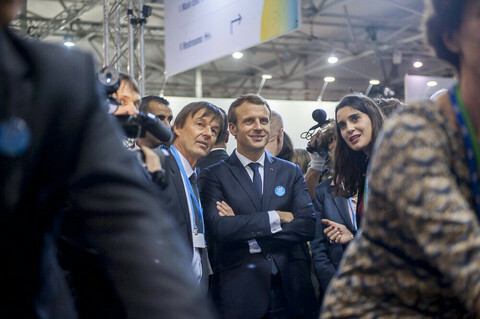 President Francois Hollande said that France, which was hit by attacks in 2015 and 2016, "knows the suffering of the British people". In the US, the White House said that president Donald Trump was briefed on the situation. 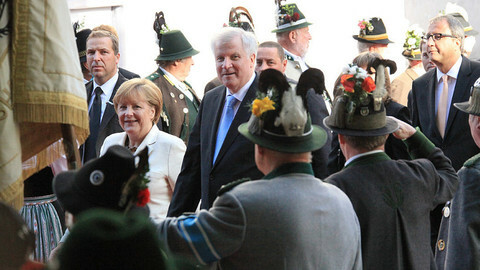 Chancellor Angela Merkel said in a statement that Germany "stand[s] firm and determined with Great Britain in the fight against all forms of terrorism". The attack in London took place on the day Brussels commemorated the 22 March 2016 terrorist attacks. European Commission president Jean-Claude Juncker said that he was "highly emotional" after a new attack on that particular day. "I don't have words enough to express what I am feeling," he said. European Council Donald Tusk said on Twitter that "Europe stands firm with the UK against terror and ready to help". A lorry drove into a crowd after the Bastille Day fireworks in Nice. State of emergency extended for three months. 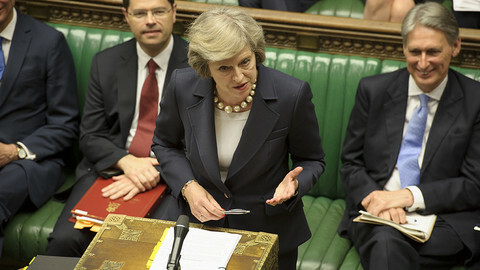 The British prime minister said "we are not afraid" after the terrorist attack on Wednesday that left four people dead. Eight arrests have been made, while the Islamist attacker seems to have carried out the attack alone. 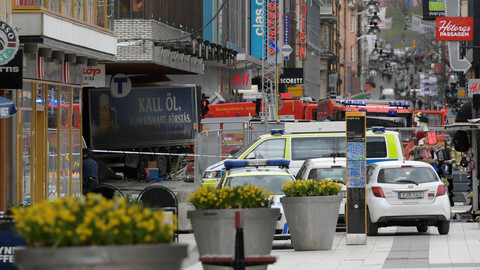 An ongoing attack in Sweden's capital city has left at least three dead after a truck ploughed through a crowded street on Friday. 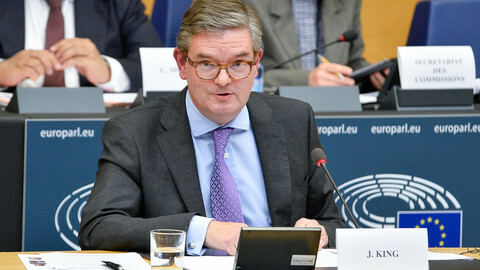 Julian King said it was not an accident that the London attacks happened on the anniversary of the Brussels bombings.